No matter how big or small your budget is, you can make your Sunday school classrooms more sensory friendly just by adding a few of the fun and useful items listed below! Is past experience of church a barrier for persons with mental illness and their families? 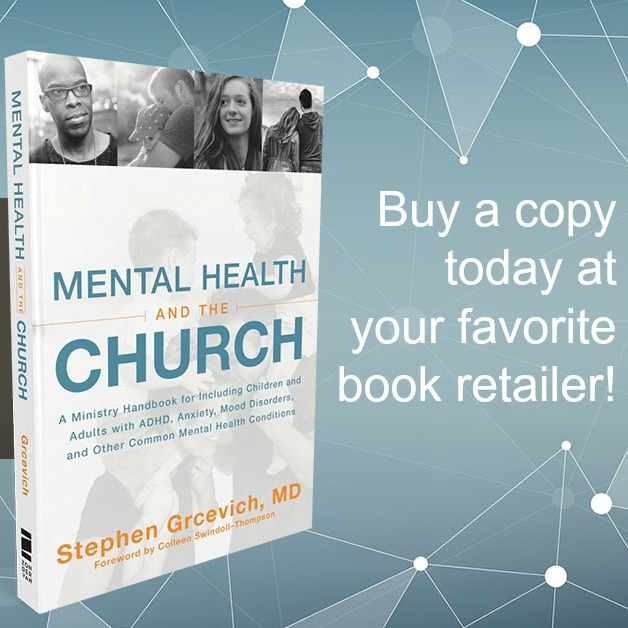 I suspect that past experiences of church may be a major barrier to current church involvement for many adults with a history of mental illness or parents of children or teens with significant mental health conditions. “Better has no endpoint.” Whatever stage we are at in our ministry work or our own walk with Christ, we recognize we are on a continuum. It makes me happy to think about other families having a strong faith foundation when the winds and waves of contemporary life come crashing against the shore. We'd like to invite as many of our friends and colleagues to join us and other champions for mental health outreach and inclusion at a special event next month for church leaders throughout the mid-Atlantic region and the East Coast. More than anything, mental health ministry is about your church community, as a whole, getting the concept that people with mental health issues aren’t problems to be solved, they are people to be loved.